The troupe of the Kosovo National Ballet performs Where the Light Falls coreographed by Antonio Pio Fini at the National Theater of Kosovo, Pristina. A framed old poster depicting the first members of the Kosovo Ballet hanging on the training room's wall. Ahmet Brahimaj, the current director of Kosovo Ballet. He finished the Ballet Secondary School in Skopje (now in Macedonia FYROM). Along with the other dancers, he returned to Pristina and formed the Kosovo Ballet in 1972. He is also the key figure in restoring the Kosovo Ballet in 2001 after being banned by the Serbian authority during the conflict. Two ballet students during a daily rehearsal. 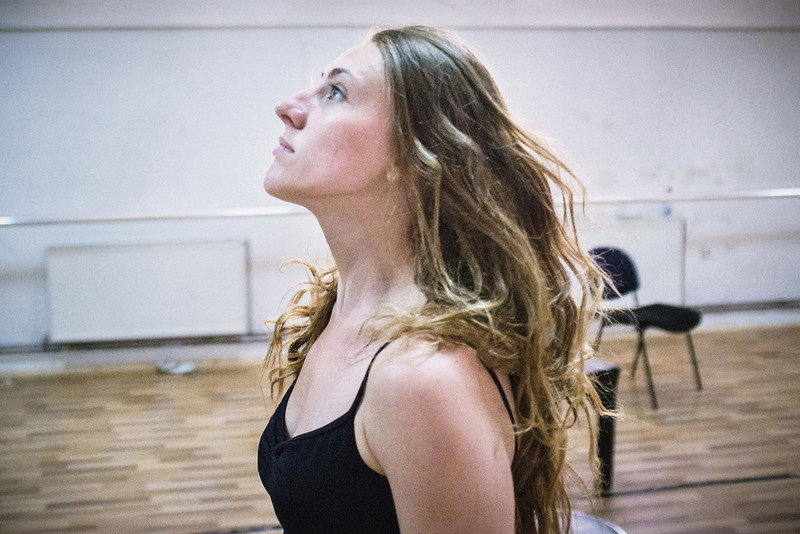 Vlora Prizreni, a member of the new generation of The Kosovo Ballet, during a daily rehearsal in the training room at the basement of Kosovo National Theater, Pristina. Three members of the new generation of The Kosovo Ballet get warmed-up before rehearsal in the training room. Fisnik Smani and Behie Murtezi during a rehearsal for the upcoming show. Both of them work full time for the ballet. Etrita Abdullahu (15), a ballet student, makes a jump during a rehearsal. Daily rehearsal at the training room. The Kosovo Ballet is the national ballet from Republic of Kosovo. The first troupe was formed in 1972, but later it was banned during the years of conflict by the Serbian authority. In 2001, after many years of absence, the ballet activity was restored. Etrita Abdullahu (15), a ballet student, watchs her move in the mirror during a daily rehearsal. A scene during the break of a daily rehearsal at the training room of Kosovo Ballet, Kosovo National Theater, Pristina. There is very little competition within the troupe which make them like one big solid family. Mergime Morina (left) and Etrita Abdullahu (right), two young student at the Kosovo Ballet school.